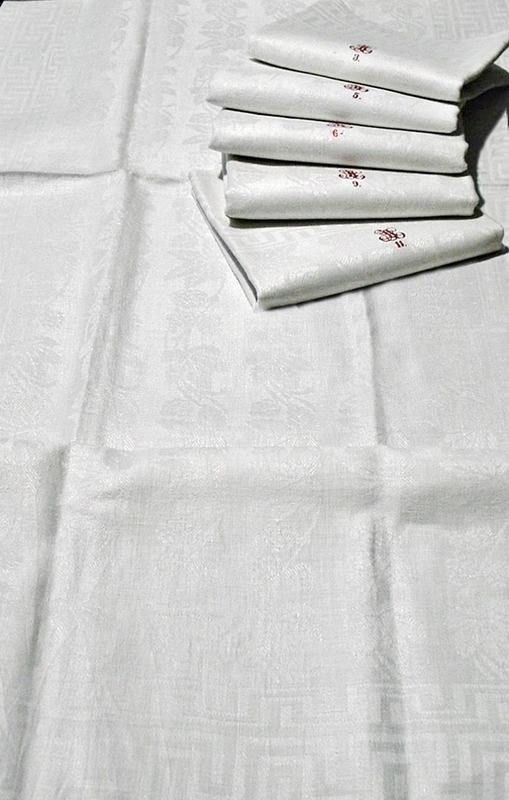 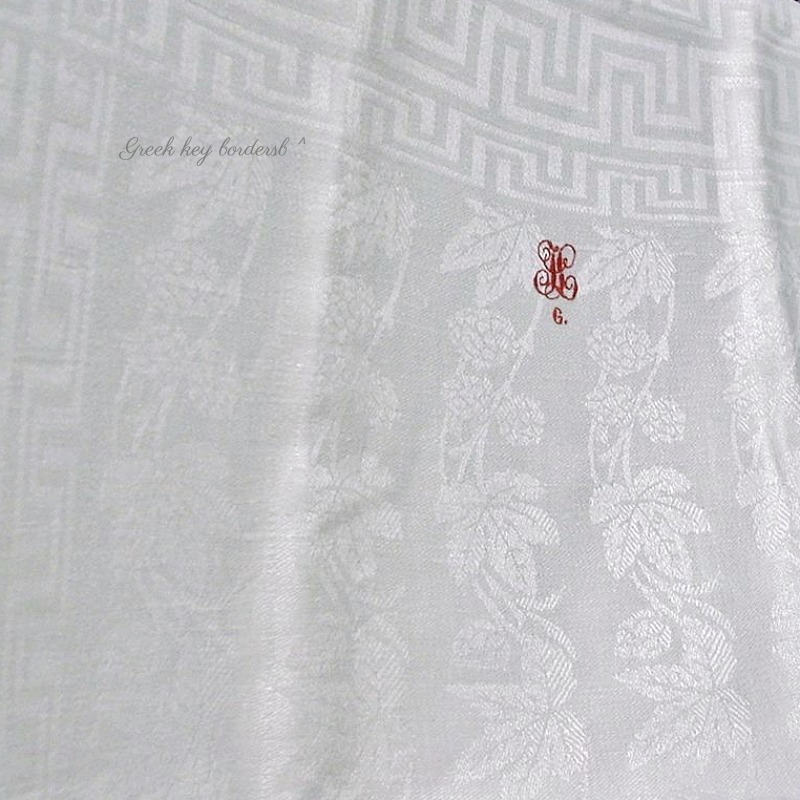 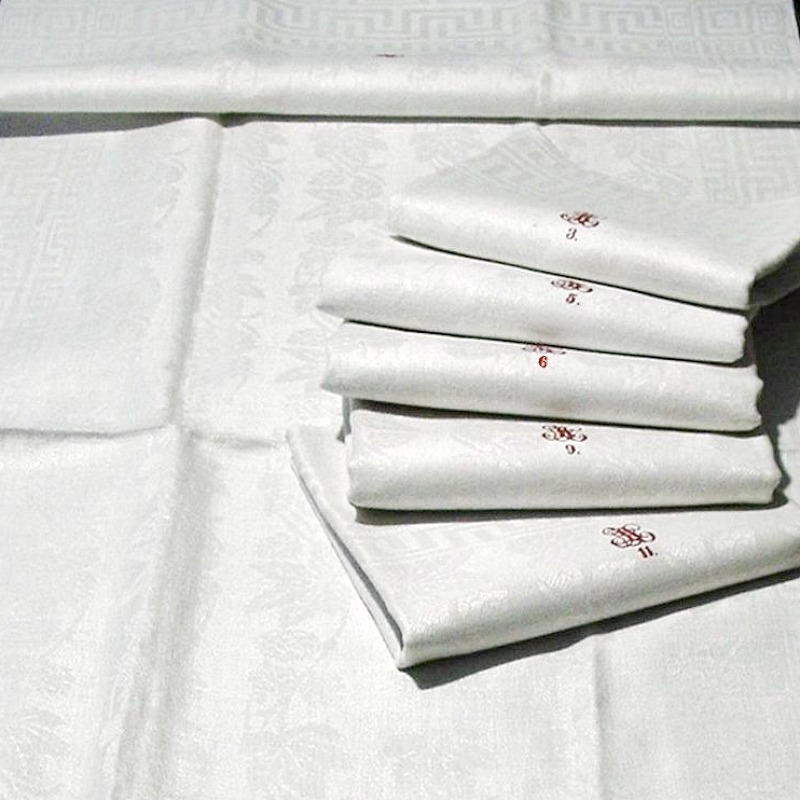 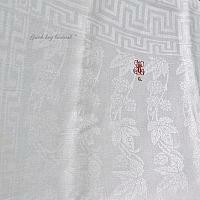 Beautiful Antique Linen Towels, creamy white, with exquisite woven in damask floral and foliage design, and bordered with a Greek Key pattern. 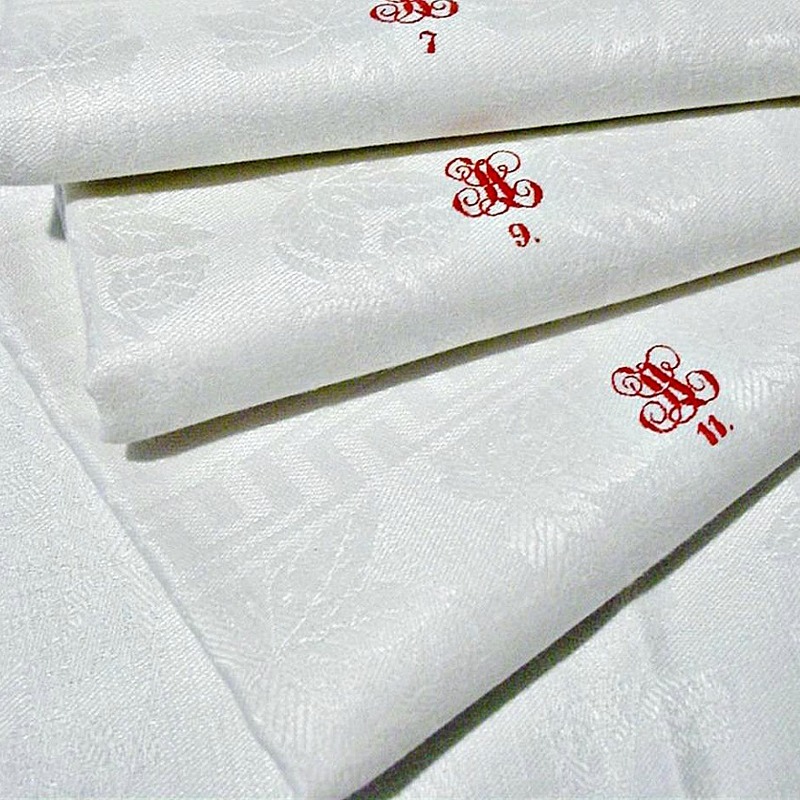 Lovely hand embroidered Red Monograms and a number on each one, some of these are slightly lighter - they are, after all, over 138 years old. 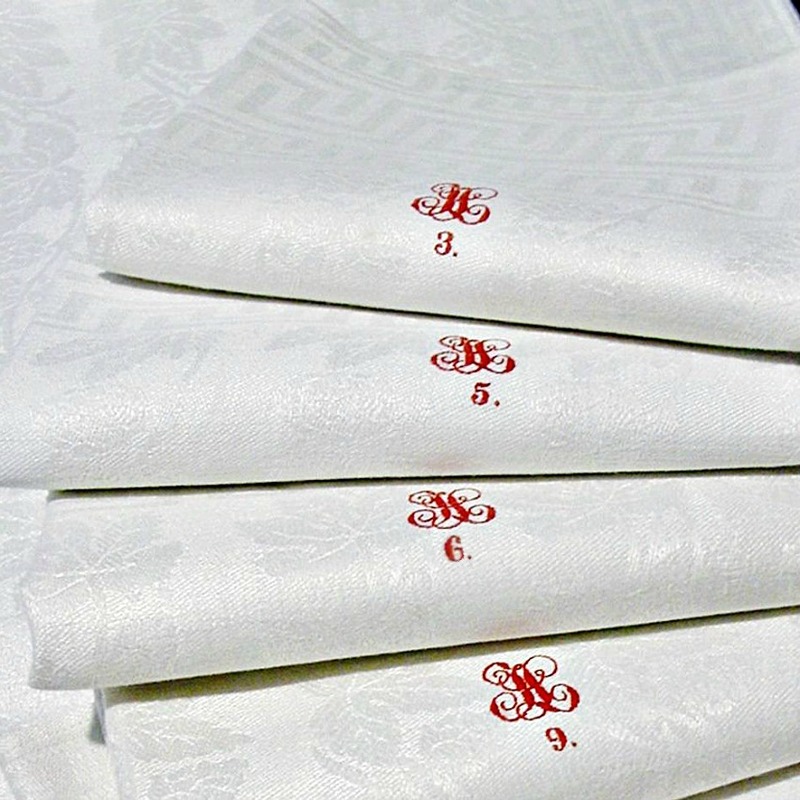 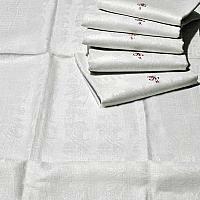 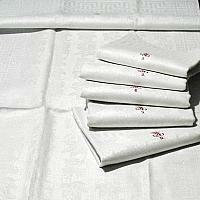 The fabric is silky with a sheen, of a fine luxury quality no longer being made....superior! 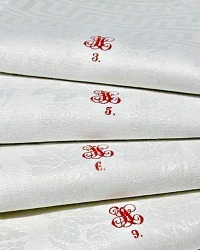 Don't miss these, they are in fabulous condition, each has a cotton loop sewn on one side for hanging. 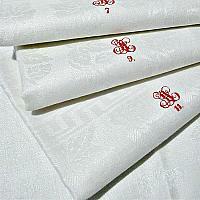 Use these as a runner, too, they are certainly long enough!